Use a B&O centre speaker or subwoofer with your non-B&O pre-amp, surround sound receiver or AV processor. Want to plug your surround sound receiver directly into a Beolab 2 subwoofer? Many B&O stores will tell you that you cannot do this - but our Powered Trigger Kit makes this situation possible! Use a B&O centre speaker or subwoofer with your non-B&O pre-amp, surround sound receiver or AV processor! Want to use a B&O Beolab centre speaker with your non-B&O system? Or plug your surround sound receiver directly into a Beolab 2 subwoofer? Many B&O stores will tell you that you cannot do this - but our Powered Trigger Kit makes this situation possible! 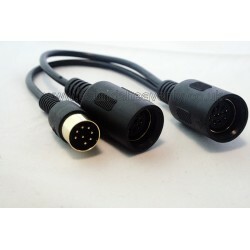 Important note: This cable is for connection from Variable level outputs found on AV processors, pre-amplifiers, and surround receivers only! 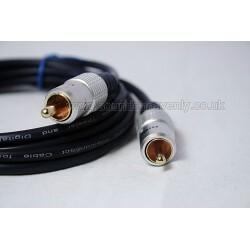 Other devices generally use Fixed level Line out - this cable is only suitable for variable/ volume adjustable outputs. 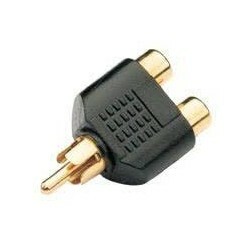 If you are trying to connect from a different device such as a TV or stereo hifi please see the Minijack version of this kit. Alternatively if you wish to connect BeoLab speakers to the speaker outputs of an integrated amplifier or power amp, please use our "Attenuator kit" to avoid damaging the speakers. If you are in any doubt, please ask! If you want to connect your audio device via a B&O system or BeoVision TV (ie. not directly to the speakers), see our other listings for B&O AUX input cables. BEOLAB 2 subwoofer - To use this kit with a Beolab 2 and a set of full-range Beolab speakers, you will also require additional Powerlink mk 3 cables (to connect the extra speakers to the output sockets on the Beolab 2). These items are NOT included with this kit but are available to purchase in our store. BEOLAB 2500 - To use this kit with a pair of Beolab 2500 speakers you will also require an additional Powerlink Splitter plus a Powerlink mk 3 cable to connect the second speaker. These items are NOT included with this kit but are available to purchase in our store. These speakers do not have a "Line Input" mode attached to their Powerlink inputs, so this kit induces a trigger signal that they would normally receive from a B&O system. When the power supply is turned on, the speaker will trigger on and is ready to use. When power is turned off from the power trigger kit, the speaker will return to standby mode. Many users have reported success using "eco" remote controlled switches with our kits. Please ensure that you turn the input device volume down before you switch on this kit - Beolab speakers are VERY powerful! What about electrical noise? Each power supply is fully tested before shipping to ensure that it operates perfectly and is totally silent in use (some other power supplies will generate noise that can be heard through the speakers - our high quality products do not do this!). 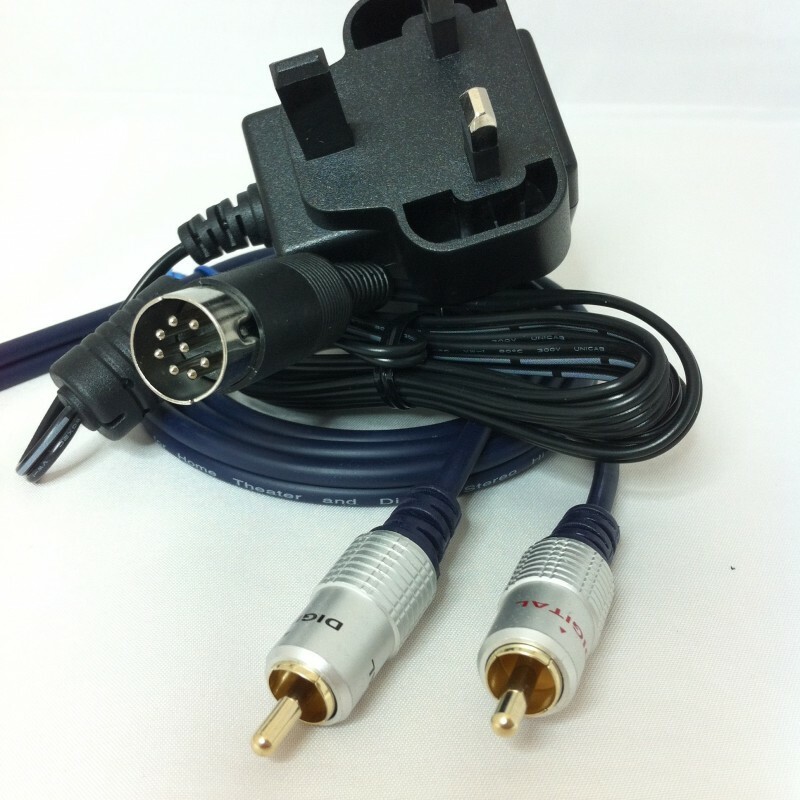 The DIN plug used on this cable also includes a voltage reference pin to prevent mains interference occuring. 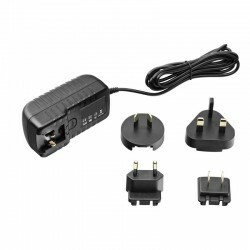 *A high quality switching 110-240 volt AC mains power supply with a choice of interchangeable UK, European, US and Australian plugs will be provided. The power supply provided with this cable can accept a wide range of AC voltages from 110 to 240 volts AC, making it suitable for most countries Worldwide. If you are in any doubt about its suitability for your country, please email us for advice before making your purchase. One kit will allow one Beolab speaker to be connected as standard - contact us for advice on splitting this signal to multiple speakers! Many users have reported success using "eco" remote control power switches for easy power saving!